Kushner has a divine understanding of the ties that bind people in relationships.The Conditions of Love is rife with truths about man’s equally selfish and selfless need to experience love in its many forms. Eunice might be the central player, but the hero of this tale is Love. Eunice experiences many kinds of loss. Before and after each misadventure she seeks solace in the stable relationships of her past and present: Mr. Tabachnik, a kind neighbor; her adopted guardian, Rose; Sam, a misguided role model. Although she may often be lonely, Eunice does not experience the destitution of abandonment. Kushner’s writing consists of equal parts reverence for the human condition and sympathy for the pain that is a necessary part of that condition. This novel is an engrossing read and difficult to put down. With her debut novel, The Conditions of Love, poet Dale M. Kushner has created a layered examination of love in all its forms and how it impacts and shapes one girl in the late 1950s and early 1960s from childhood to maturity.. . .This is a book that begs to be read slowly. Kushner’s history with poetry serves her well. Her prose causes the reader to slow down and relish the words. She utilizes the five senses throughout the book, which gives the reader a sense of real intimacy with Eunice. She beautifully recounts the physical act of Eunice’s neighbor, Mr. Tabachnik, putting on an opera record, and then she tops it by describing the powerful music washing over a young Eunice.The Conditions of Love is an engaging story written in a lyrical style. It’s a stunningly self-assured novel for a debut, and it leaves the reader hoping that Kushner will write a second. 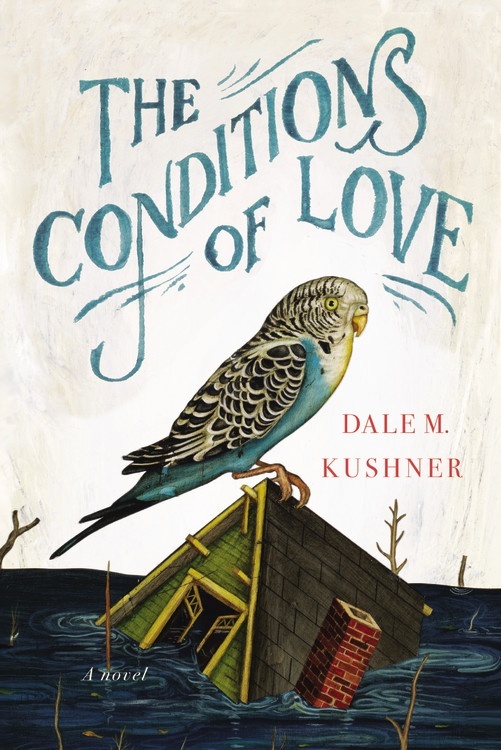 The Conditions of Love is the debut novel of Dale M. Kushner, a poet and writer in Wisconsin. It moves slowly and gingerly during its opening section when Eunice is a preteen, and it might easily be viewed at the start as a coming-of-age book for a younger set of readers. But by the end of that section, when facts-of-life shocks begin to strike, it turns into a moving, at times jolting, saga.Kushner’s scenes, like her characters, are expertly sketched, vivid and memorable. . . . Engrossing to the end, this is a fine first novel. A teenage girl endures fire, flood and the loss of her parents in this bracing, oddly uplifting debut.Kushner seems to have taken more than a few lessons from Joyce Carol Oates about both crafting a novel with a broad scope and putting female characters through the wringer. But there’s also a lightness to Eunice’s narration that keeps the Job-ian incidents from feeling oppressive—she’s observant, witty and genuinely matures across the nine years in which the novel is set… Kushner is remarkably poised for a first-time novelist, offering an interesting adolescent who’s possessed of more than a little of Huck Finn’s pioneer spirit.A fine exploration of growing up, weathering heartbreak and picking oneself up over and over. The Conditions of Love traces the journey of a girl from childhood to adulthood as she reckons with her need to break from society’s limitations and learns to reconcile with her fate and transcend the past.